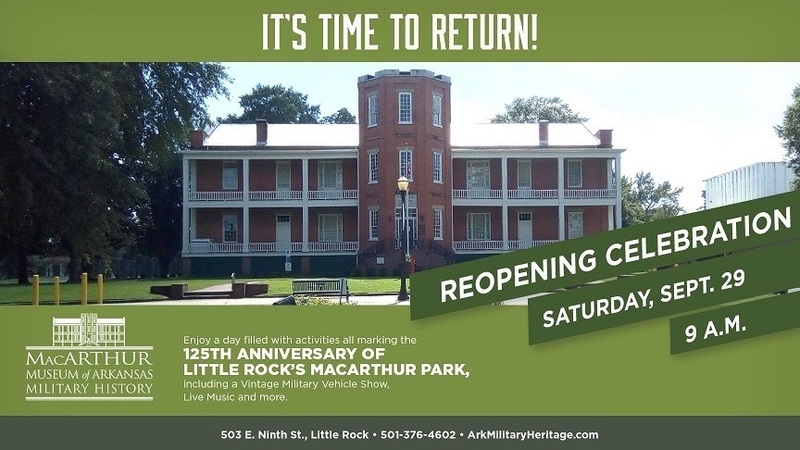 Renovations are finally completed and MacArthur Museum of Arkansas Military History will reopen on Saturday, September 29. This is also the date of our Vintage Military Vehicle show as well as coinciding with the 125th Anniversary of MacArthur Park being established as Little Rock’s first city park. It was known as “City Park” until the name was changed in 1942 to honor General Douglas MacArthur.